I feel as if my concealers last a lifetime and when my previous concealer (the Rimmel Match Perfection Illuminating Concealer) eventually ran out I was excited to have a browse in Superdrug for a new one. 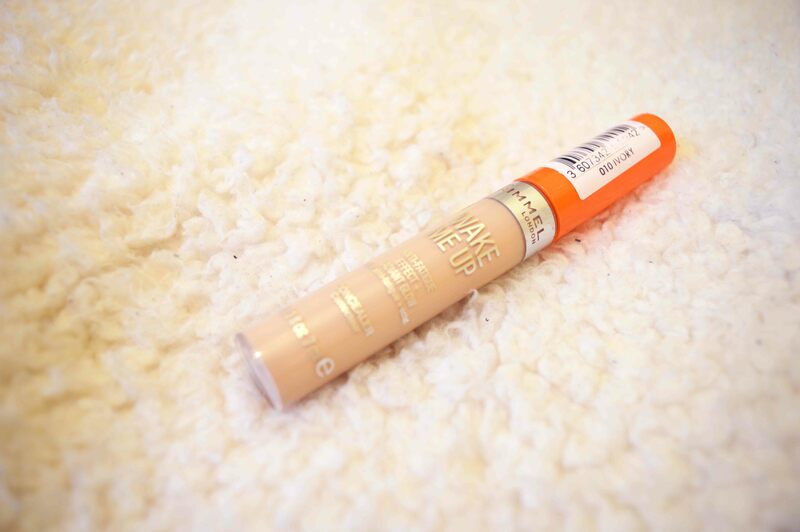 I have read so many reviews about all different brands of concealers on the market and so I had a tough decision to make but I eventually chose the Rimmel Wake Me Up Concealer. I was swatching all different concealers and blending them with my skin to the point I ran out of areas to test and decided on the Rimmel London Wake Me Up Concealer for £5.49 (which you can also buy here) in Ivory due to it being the best match to my skin and the fact it promises to illuminate under the eyes to give the ‘wake me up’ effect, being something I need for the early mornings to uni. First Impressions: These were all fantastic! The size of the bottle (7ml) will be sure to last as long as my previous concealer. The applicator is similar to a lip gloss which is not what I was expecting but it is great to be precise and control the amount of product used as we all know too well about applicators that squirt out too much and it goes to waste. Using the Product: I have been really impressed with this. It’s a full coverage concealer where a little goes a long way and its ingredients of vitamins moisturise the skin and not leave it dry (a problem I’ve had with previous products). It stays on all day long and helps to hide dark circles, spots and other blemishes. I’m currently using L’Oreal True Match foundation and the two work well together, they blend to give a flawless finish. Have you used this concealer? Have I left you wanting to purchase? Let me know!